Quixz eSports - New sponsor, Eternal Hosting! 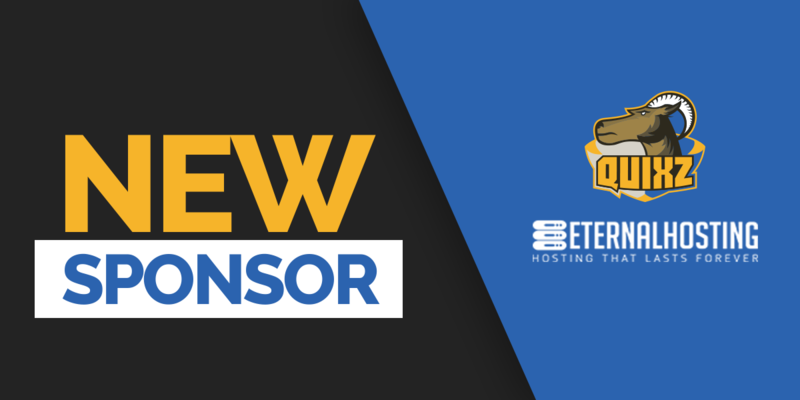 Quixz is delighted to announce our new sponsor, Eternal Hosting! Eternal Hosting provides game servers in a variety of games, such as CSGO or Hurtworld. They will be supplying us with Counter Strike servers for our community to play on. You might remember that last month we announced our very own retake servers, this will mean that you have more possibilities to play with your friends, even if one of our servers are full! If you ever want to buy you own game servers, Eternal Hosting can provide you robust stability and a great user interface, with countless of possibilities for customisation. When you buy a server from them, you can use coupon code “Quixz”, at checkout to get 15% of your purchase! Following this sponsorship, we will be creating one deathmatch free for all server, and be expanding our amount of retake servers. Over the next month we will be setting up all the servers, and make them ready to play on. If you want to try them out, follow us on twitter to make sure you get a notification when they are live! Use coupon “Quixz”, at Eternal Hosting to get 15% off your order!